NEW YORK – August 21, 2014 – Syfy and Alcon TV today announced that Steven Strait (Magic City) and Emmy winner and Oscar nominee Shohreh Aghdashloo (House of Saddam, House of Sand and Fog) will star in The Expanse, the new 10-episode space opera based on the international best-selling book series, premiering on Syfy in 2015. Strait plays Holden, an officer on the ice-carrying freighter the Canterbury. Holden is a natural leader who's not sure he wants responsibility, but who will soon have no choice when he is drawn into a dangerous plot. Strait’s many credits include the movies 10,000 BC, City Island and City Island. Aghdashloo portrays Chrisjen Avasarala, a smart and passionate member of a political family legacy who has risen high in the ranks of Earth’s governing body without once standing for election. In addition to appearing in the long-running TV series 24, Aghdashaloo has starred in films such asX-Men: The Last Stand, The Exorcism of Emily Rose and The Stoning of Soraya M. She just completed filming on Septembers In Shiraz with Adrien Brody and Salma Hayek, and The Last Knights with Clive Owen and Morgan Freeman. Earlier, Syfy and Alcon TV announced that three-time Golden Globe nominee Thomas Jane (Hung, The Punisher) will also star as the world-weary Detective Miller, a native of “the Asteroid Belt” between Mars and Jupiter. The Academy Award-nominated screenwriting duo Mark Fergus and Hawk Ostby (Alfonso Cuaron’s Children of Men,Iron Man) wrote the pilot and will continue to serve as writers as well as executive producers. Fergus and Ostby are showrunners alongside fellow executive producer Naren Shankar (CSI, Farscape). 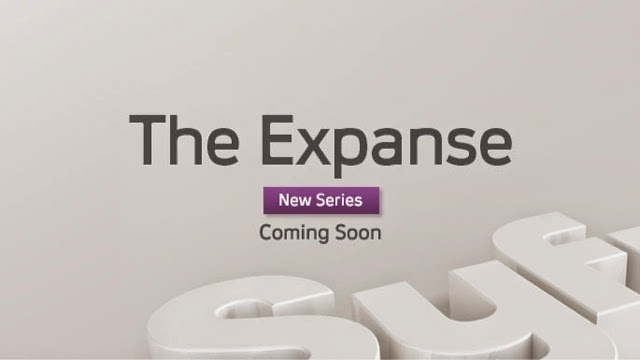 The Expanse is produced by Alcon Television Group (ATG), a division of Alcon Entertainment, and marks the company’s first series order. Alcon co-founders and co-CEO’s Andrew Kosove and Broderick Johnson will serve as executive producers with Hall. Alcon Television executive Ben Roberts will serve as co-producer. Ben Cook will serve as producer. Sean Daniel (Graceland, The Mummy) and Jason Brown of the Sean Daniel Company developed the original pitch, with Fergus and Ostby, and will also executive produce.